Strathclyde Marine Fabrications (SMFab) specialises in the design and manufacture of fire-rated offshore marine doors and associated products. SMFab produces A Class fire-rated marine doors and supplies A60 sliding doors. Available with pneumatic or standard sliding opening doors, all systems are ideal for the offshore industry. 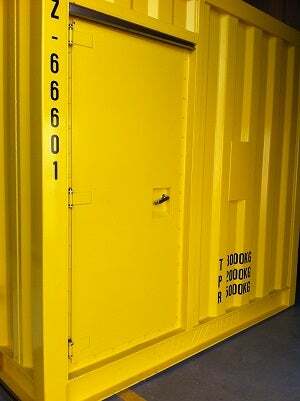 The company also provides A0 and A15, as well as B15 marine doors, which are tested to the latest fire test procedure (FTP) codes. They are approved by all regulatory bodies, such as Lloyd’s Register, DNV and the American Bureau of Shipping (ABS). SMFab develops a full range of watertight and weathertight doors and hatches. They are manufactured to Lloyd’s specifications and DNV-OS-C301 regulations. Products are pressure and hose-tested where applicable. SMF produces non-fire-rated and flood control doors, which are mainly land-based products and specifically designed to meet the customer’s particular needs. SMFab offers a key service to customers by providing a comprehensive solution for any marine hardware requirements. A cost and time-effective solution, the company applies its industry expertise to source a wide range of marine hardware. SMFab was established in 2012 by owner and managing director Fraser Gunn. During 2015, the company expanded its operations and moved to larger premises. The company continues to grow and supplies companies in the UK, Middle East and Far East, with a variety of marine products and hardware. SMFab’s strategy is to develop its client base by offering high-quality products at attractive lead times. SMFab has 20 years of experience in the supply of architectural marine door products to large offshore clients and is able to assist with any bespoke requirements. The company has partners in Malaysia, the UAE and Asia, completing many projects in the regions within budget constraints and tight deadlines, and is continually developing the business portfolio.